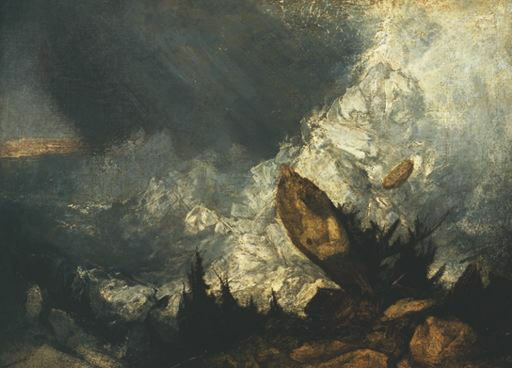 The Fall of an Avalanche in the Grissons by Joseph Mallord William Turner (1775-1851). 1810. Oil on Canvas. 90.2 x 120 cm. Courtesy of the Tate Gallery, London.